The Duchess of Cambridge wore the perfect winter-to-spring transitional ensemble during her visit to London’s Lavender Primary School in support of Children’s Mental Health Week on Tuesday. Sporting a bright-green Eponine London frock (one of her go-to designers) with front button pockets, black tights and black L.K. Bennet “Marissa” suede lace-up booties, the duchess brightened the grey London day all on her own. And, just us, or does this dress color make you think of grass and leaves and all things spring? She paired the dress and boots with a Mulberry clutch and Kiki McDonough sparkly gold heart earrings. Middleton’s fully riding the lace-up boot train this year (thanks to Meghan Markle for the inspo, perhaps?). She wore a pair of See by Chloé lace-up black combat boots three weeks ago to garden with schoolchildren. 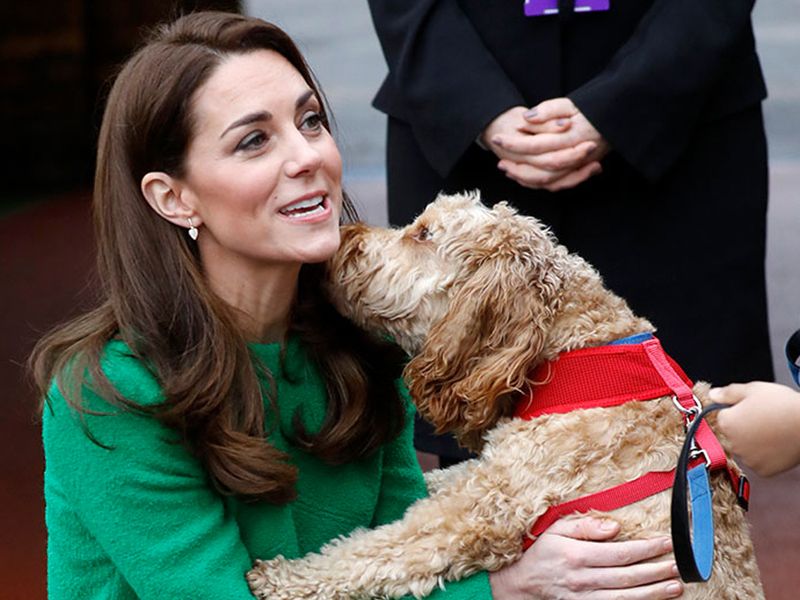 Middleton wore her hair in her signature bouncy blowout, and Herbie the school dog couldn’t help but rub his face all up in her hair, which the duchess handled like a pro. Just no muddy pawprints on the frock, pretty please? We’re betting this bright springy look will be a royal rewear for Her Royal Highness in the coming months.